Attention has been given to every detail inside this renovated gem. This is a warm and inviting home with tile floors in living areas, custom kitchen, and impeccable decor. As an end unit it features expanded dining area with additional sliding doors and step out. 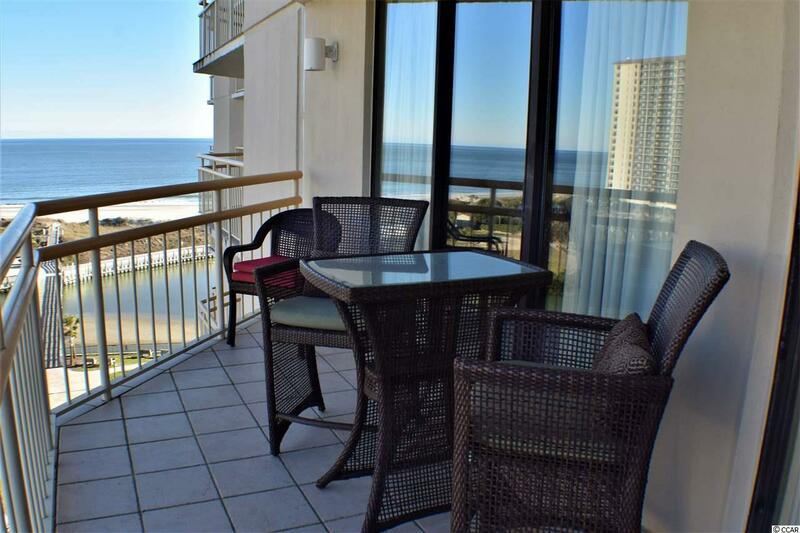 Outside gorgeous views of the ocean and grounds abound. Experience Tower South at its finest! 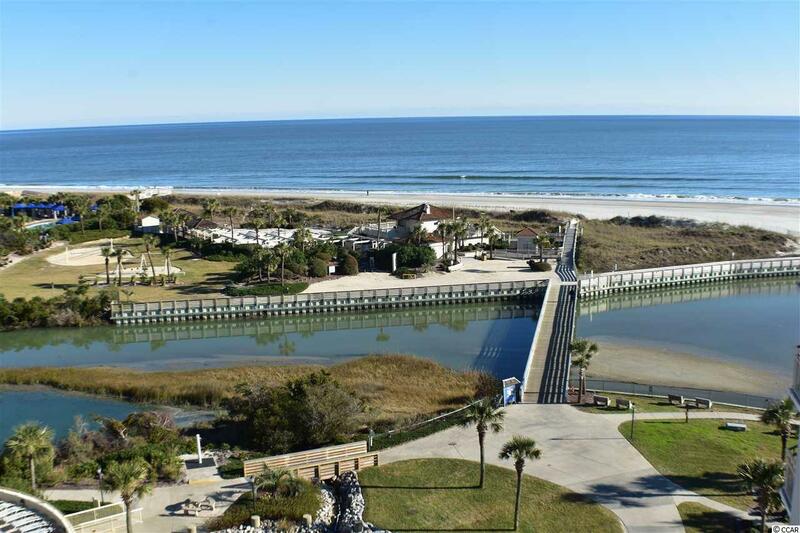 Ocean Creek is a 57-acre oceanfront resort across from Barefoot Landing offering beautiful live oaks & manicured grounds, multiple pools, tennis center, putting green, oceanfront beach club overlooking 30 miles of coastline, all within a gated community. 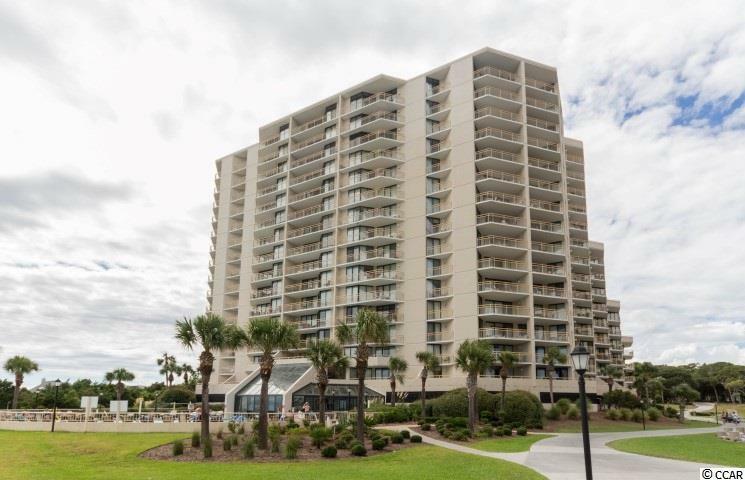 Living in Ocean Creek is like living in a park nestled on the ocean. 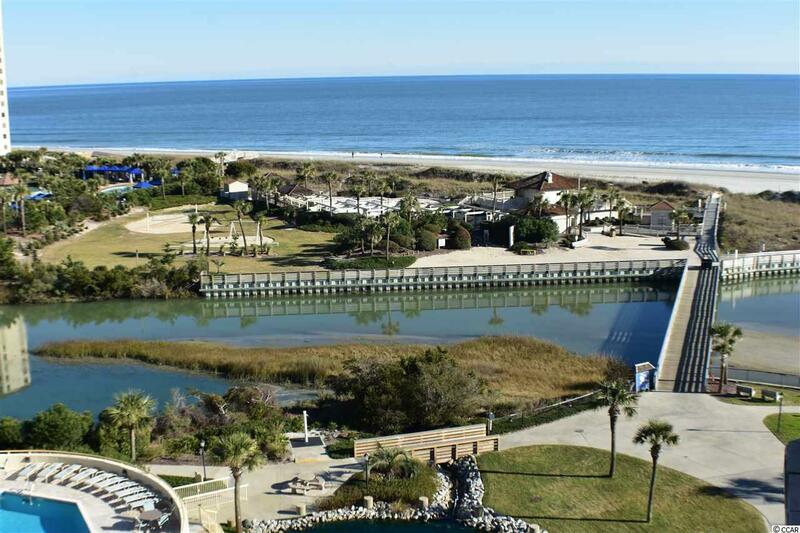 Within walking distance to shopping, restaurants & theaters, Ocean Creek is just steps away from all the wonderful activities Myrtle Beach is popular for, yet offers a wonderful escape from the crowds & the hustle bustle. All figs & sq. ft. approximate.